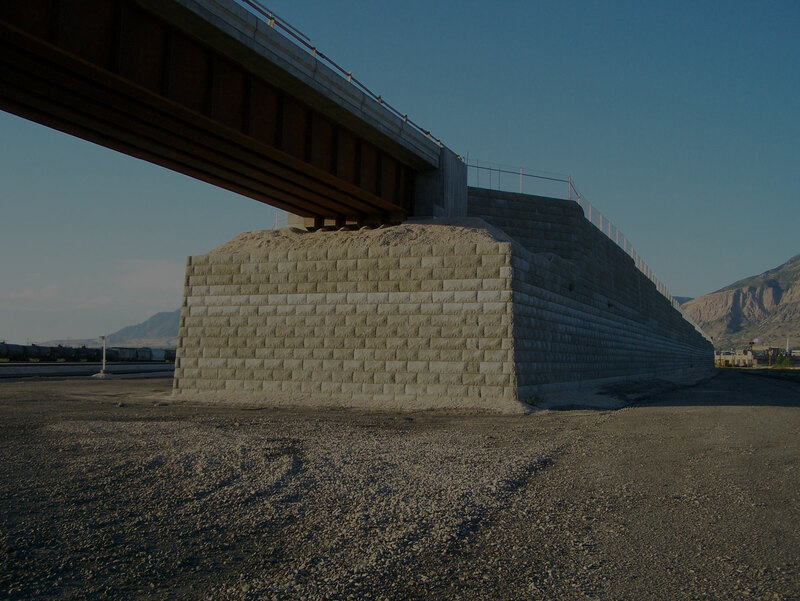 Retaining Wall products covering the Western U.S. and Northern Mexico. Ogden Utah. The walls were completed and put into service in 2006.
us today to find out what we can come up for your project. Lock + Load is wet cast manufactured panel made with 5500 psi, 6% air entrained, fiber/steel reinforced concrete and when the counterfort is attached, produces the largest manual installed retaining wall system. Recycled forms produce high quality panels, corners, and trim units to guarantee dimensionally accurate units during each manufacturing step. Whether building a 4 foot or 25 foot high wall, Lock + Load has an application to meet your project’s needs. Installing a fence or railing on top of your wall, with Lock + Load, you can place it behind the panel and save valuable space on your project. Click below to read more about our engineering possibilities for any project. We move your project from concept to reality, smoothly and efficiently. In the case of the Sidewalk Improvement Project, the original design called for a standard WSDOT approved retaining wall to support the new sidewalk along SR 20 where the shoulder gives way to a steep slope. The standard retaining wall was costly for the intended use and would have required much wider excavation into the SR 20 travel lane. Instead, a smaller, more traditional lock and load system was constructed, providing more than adequate support and saving both money and time on the project. Implementing this innovative design for the retaining wall resulted in a $26,000 savings and construction time was reduced from six weeks to two days.